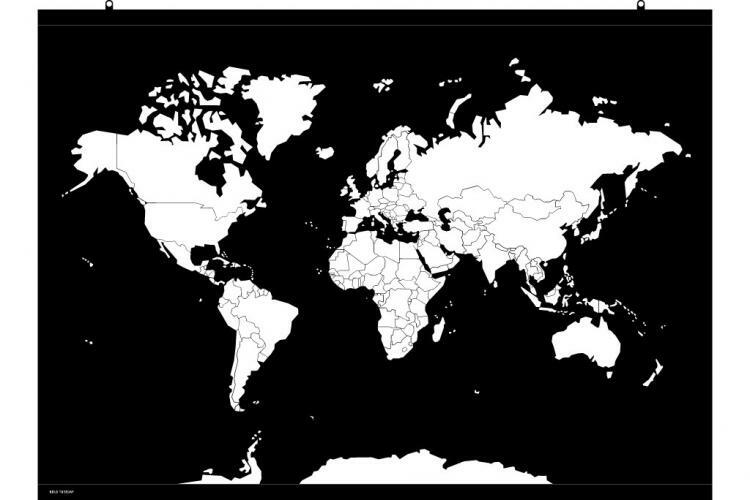 You've seen the scratch-off travel map that lets you scratch off each country after you've visited it, and you've seen the cork globe that lets you stick a pin into each country you've visited. 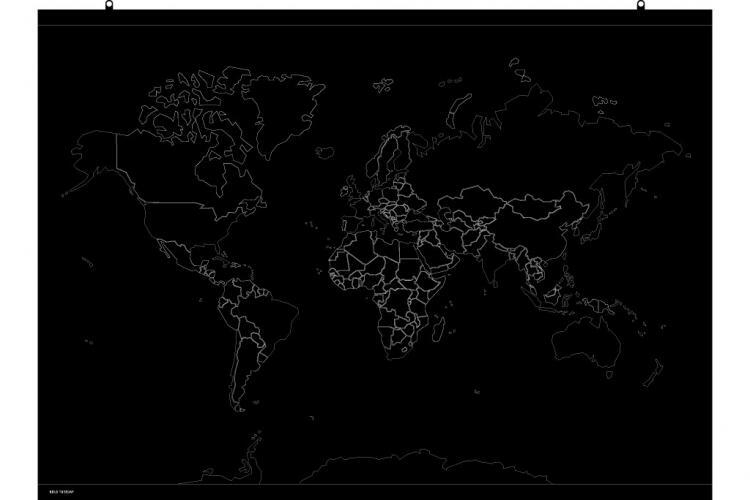 If either one of those didn't suit your fancy, maybe this peel off travel map will do it for you, otherwise you might be a lost cause and will most likely never leave your home country. 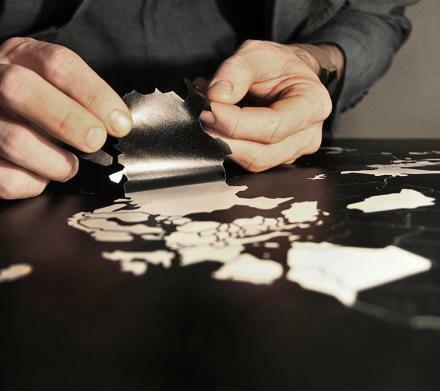 A perfect gift idea for any world traveler, the peel away travel map comes to you all black, with just a faint lining of a world map. 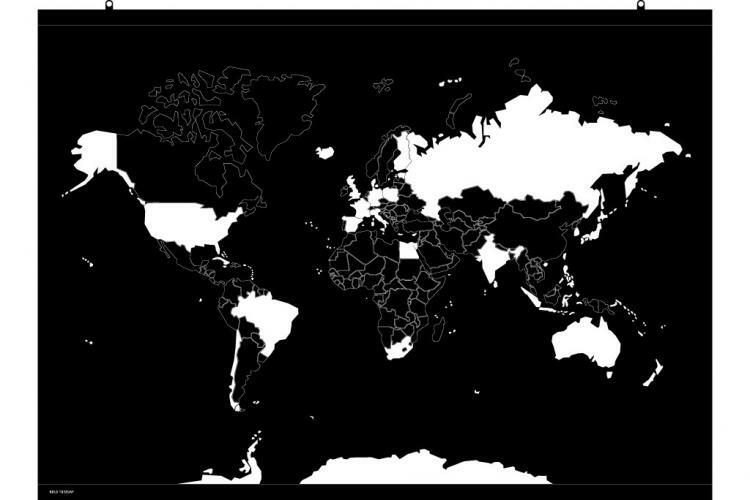 Once you start to peel away the countries you've visited, the map will brighten up with white colors for where you've been. 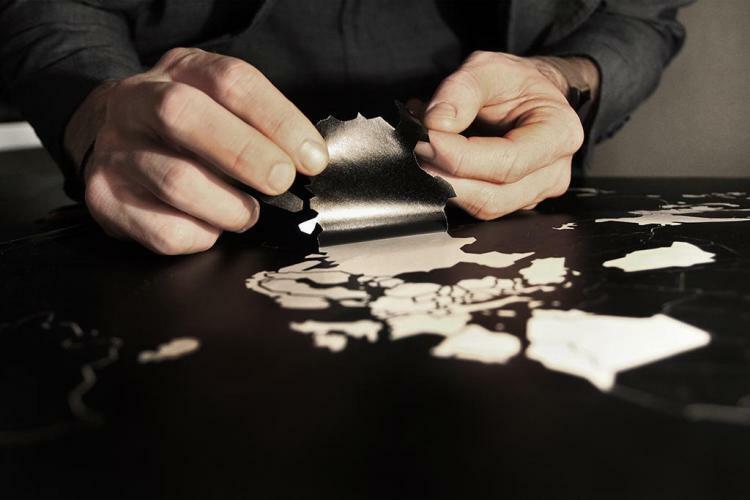 The peel off travel map poster comes ready to hang on your wall with hanging rails on the top and bottom of the map. 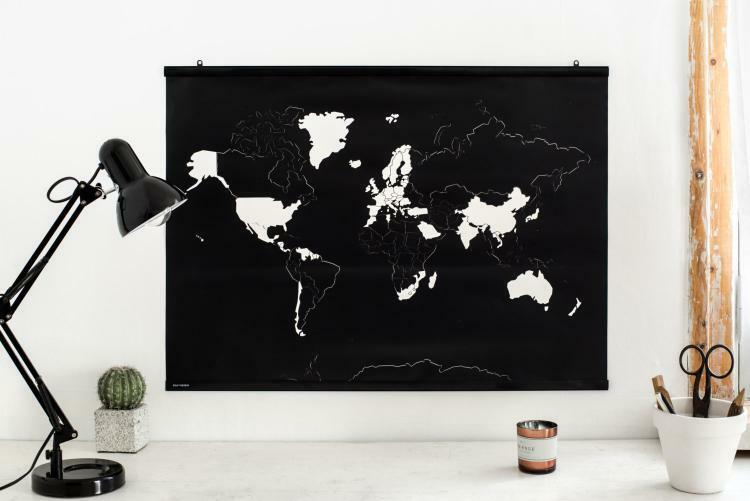 The travel map is made from a black matte material that uses a 3M sticker to peel away each country, and the poster measures 33 inches wide x 24 inches tall.